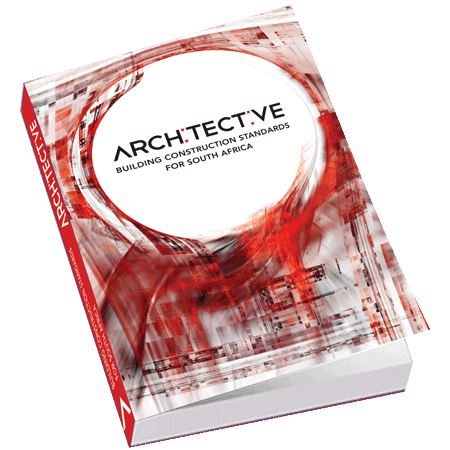 Instigated in 2004 and established in 2010, Architective Publications, headquartered in Johannesburg, South Africa, is a prominent publisher of technical reference books for the architectural, engineering and construction industry. As publisher of distinctive, highly visual and technical books, ebooks and apps for adults Architective Publications strives to make everything it produces, better by design, the prime aim is to inform, enrich and interest readers. Everything we produce offers unrivaled clarity to topics with a unique blend of words, illustrations and pictures, compiled to spectacular outcome. This document describes the Terms and Conditions with which Architective Publications offers you access to Architective Publications Website, products and/or services. The Terms and Conditions describe the terms and conditions applicable to your use of the Website, products and/or services available under the domain and sub-domains of architective.co.za. The Terms and Conditions constitute a legally binding agreement between yourself and Architective Publications (Pty) Ltd. The Terms and Conditions is effective on 10 June 2015 for all users. Please ensure that you read and understand these terms in, and linked to, Terms and Conditions before you join as member, use the Website, products and/or services, as you will be bound by the terms once and whenever you make use of the Website. If you do not accept the Terms and Conditions, do not use the Website. The Terms and Conditions that applies on any of Architective Publications domains and sub-domains is always the Terms and Conditions that appears in the footer of each Website. You may only use this Website to browse the content, make legitimate purchases and shall not use this Website for any other purposes, including without limitation, to make any speculative, false or fraudulent purchase. This Website and the content provided in this Website may not be copied, reproduced, republished, uploaded, posted, transmitted or distributed. ‘Deep-linking’, ’embedding’ or using analogous technology is strictly prohibited. Unauthorized use of this Website and/or the materials contained on this Website may violate applicable copyright, trademark or other intellectual property laws or other laws. You agree that you can form legally binding contracts under applicable law. Architective Publications Website and/or services are not available to temporarily or indefinitely suspended Architective Publications members. You acknowledge that you are at least 18 years of age. Minors may only use this Website and/or services in conjunction with their parents or guardians. Your Architective Publications membership may not be transferred or sold to another party. If you are registering as a business entity, you represent that you have the authority to bind the entity to the Terms and Conditions. You agree that you will not use your participation in the Architective Publications Website as a means to sell or market any types of goods or products, unless specifically allowed by Architective Publications. The contents of this Website are provided “as is” without warranty of any kind, either expressed or implied, including but not limited to warranties of merchantability, fitness for a purpose and non-infringement. The owner of the Website, the authors of the contents and in general anybody connected to the Website in any way, from now on collectively called “Providers”, assume no responsibility for errors or omissions in the contents. The use of the contents is forbidden in those places where the law does not allow this disclaimer to take full effect. You agree to indemnify and hold Architective Publications and its officers, directors, agents, and employees harmless from any claim or demand, including reasonable attorneys’ fees, made by any third party due to or arising out of your negligence, breach of the Terms and Conditions, or violation of any law or the rights of a third party. change the Terms and Conditions from time to time, and your continued use of the Website (or any part of) following such change shall be deemed to be your acceptance of such change. It is your responsibility to check regularly to determine whether the Conditions have been changed. If you do not agree to any change to the Conditions then you must immediately stop using the Website. Architective Publications will use its reasonable endeavours to maintain the Website. The Website is subject to change from time to time. You will not be eligible for any compensation because you cannot use any part of the Website or because of a failure, suspension or withdrawal of all or part of the Website. Architective Publications reserve the right to change, modify, add to or remove from portions or the whole of these Terms and Conditions from time to time. Changes to these Terms and Conditions will become effective upon such changes being posted to this Website. It is the User’s obligation to periodically check these Terms and Conditions at the Website for changes or updates. The User’s continued use of this Website following the posting of changes or updates will be considered notice of the User’s acceptance to abide by and be bound by these Terms and Conditions, including such changes or updates. The Website may collect certain information about your visit, such as the name of the Internet service provider and the Internet Protocol (IP) address through which you access the Internet; the date and time you access the Website; the pages that you access while at the Website and the Internet address of the Web Website from which you linked directly to Architective Publications Website. This information is used to help improve the Website, analyze trends, and administer the Website. In an attempt to provide increased value to Architective Publications Users, Architective Publications may provide links to other Websites or resources. You acknowledge and agree that Architective Publications are not responsible for the availability of such external Websites or resources, and do not endorse and are not responsible or liable, directly or indirectly, for the privacy practices or the content (including misrepresentative or defamatory content) of such Websites, including (without limitation) any advertising, products or other materials or services on or available from such Websites or resources, nor for any damage, loss or offence caused or alleged to be caused by, or in connection with, the use of or reliance on any such content, goods or services available on such external Websites or resources. Lead time is dependent on stock availability. Should Architective Publications have stock available, orders will be dispatched the same day provided payment is validated/received before 14:00 hours. Should the product not be in stock please allow 20 working days plus freight transit time. This will allow for production and delivery to Architective Publications office or warehouse. Every effort is made to effect shipment of your order timeously however unforeseen circumstances may cause delays. Should Architective Publications be faced with such an occurrence Architective Publications will contact you via email and provide a revised shipping schedule. When you click to make a purchase with Architective Publications legal obligations arise and your right to refund of monies charged to your credit card or paid in any other way agreed by Architective Publications, are limited by the Terms and Conditions. You must not make any purchase through this Website unless you understand and agree all the Terms and Conditions. Once payment is made for the purchase, it is deemed that you have read and understood the Terms and Conditions for such purchase. If you have any queries please contact us before making any purchase for any product and/or service through the Website. Should Architective Publications have stock available, orders will be dispatched the same day provided payment is validated/received before 14:00 hours. Architective Publications uses World Net Express to ensure timely deliveries the following business day. Architective Publications uses World Net Express to ensure timely economical deliveries within 3 business days. You may elect to collect the products from Architective Publications office or appoint your own courier agent for shipping. Please ensure the correct shipping address is provided from the outset as title and risk will pass to you once the order has left Architective Publications premises. Note: Architective Publications recommends that you use a courier that offers shipment tracking through a customer helpline. Architective Publications recommends that you insure your package for safe return and declare the full value of the shipment from the outset as title and risk will pass to you once the order has left Architective Publications premises. Additional shipping charges plus a 15% handling fee may be applicable. Order processing will not begin until Architective Publications receive a confirmed order and confirmed full payment. Should you for any reason wish to cancel your purchase you will be liable for all shipping charges plus a 15% handling fee. You must advise Architective Publications in writing of your cancellation and any such cancellation must be signed by the person who made the original purchase. The goods must be returned to Architective Publications as new and undamaged in the original packaging within 14 calendar days of purchase, failing which no refund or return will be considered. Should you choose to use a courier that does not offer a tracking facility and the goods are damaged, lost or stolen then no refund or return will be considered. International customers should make use of a courier that offers shipment tracking through a 24 hours customer helpline and that will insure your package for safe return and declare the full value of the shipment from the outset as title and risk will remain with you until the package is received at Architective Publications premises. All transactions will be processed in South African Rands (ZAR), through Standard Bank in South Africa. Architective Publications endeavours to offer you competitive prices on current products and services; The total order value will include the price of the purchase plus any applicable sales tax and shipping charges (on the day of shipping). Architective Publications reserves the right to change pricing at any time without prior notice. Should Architective Publications reduce it’s price on any shipped products within 10 working days of shipment, you may contact us and request a refund of the difference between the price you were charged and the reduced selling price. To receive the refund you must contact us within 21 days of shipment. Architective Publications accept MasterCard and Visa credit cards. If you do not have a credit card please utilise one of the other payment options, or simply log off and return to the Website at a later time to complete your order. All of your order details will be saved online for use whenever you’re ready! Architective Publications apologises for the inconvenience. Electronic Fund Transfer is one of the most widely used ways of sending money online. Once you have added your chosen items to the shopping cart, proceed to “Checkout” and follow the order processing instructions, which will include Architective Publications’ banking details. Select the option to pay via EFT (Electronic Fund Transfer). You will then have to load Architective Publications as a beneficiary on your internet banking and use the unique order number in the reference line for your payment. This should ensure speedy processing and delivery of your selected products. You may pay for your products through a direct deposit. It’s exactly the same as doing an EFT payment, except you’ll have to go into the bank and physically make your direct deposit there. Please fax or email a scan of your deposit slip to Architective Publications to ensure your payment is confirmed and your order shipped as quickly as possible. For more information or assistance about how to order, special order requirements and other payment options, please contact us. Virtual Card Services process all credit card transactions. All credit card transactions are 128 bit Secure Socket Layers (SSL) encrypted. The company registration documents and the Website’s registered domain name are checked and verified by Thawte, ensuring the cardholder and merchant that nobody can impersonate VCS to obtain confidential information. You irrevocably and expressly authorise Architective Publications to credit and/or debit any monies to your account that are identified by Architective Publications. Architective Publications reserve its rights to all actions and remedies in connection with any monies owed to Architective Publications. You will indemnify, defend and hold Architective Publications harmless for any claims, demands or causes of actions that Architective Publications take toward any identified account pursuant to this Section. Architective Publications have the right, but not the obligation, to monitor any activity and content associated with the Website. Architective Publications may investigate any reported violation of these Conditions or complaints and take any action that Architective Publications deem appropriate (which may include, but is not limited to, issuing warnings, suspending, terminating or attaching conditions to your access and/or removing any materials from the Website). The Conditions will be exclusively governed by and construed in accordance with the laws of South Africa whose Courts will have exclusive jurisdiction in any dispute, save that Architective Publications have the right, at Architective Publications sole discretion, to commence and pursue proceedings in alternative jurisdictions. You understand that all the designs and trademarks are registered to Architective Publications or their respective holders and hereby accept the terms and conditions. You undertake not to copy/duplicate the trademarks and designs directly or indirectly in anyway and understand the legal implications thereof. Should you be found to be in violation of the Terms and Conditions you understand that you will be held liable for all legal costs incurred by Architective Publications for any civil action or any legal action deemed necessary against you. Architective Publications reserves the right to edit, amend, or delete any information posted on the Website if, in the sole opinion and/or discretion of Architective Publications, the posting contains language that is vulgar, obscene, inflammatory, illegal, irrelevant, or in violation of any section of the Terms and Conditions or that Architective Publications deem unacceptable. Architective Publications reserve the absolute right to reject your participation, or remove you from your current participation, in the Website at any time and for any reason or for no reason and without notice to you. An event that may result in the rejection or removal of your participation can include but is not limited to: any circumvention of the Architective Publications marketplace by you or by others at your direction; Your creation, maintenance and/or management of more than one account; your circumvention or non-payment in full of fees due; any attempt by you to improperly influence, or cause another to, improperly influence the feedback of members; any attempt by you to harass, or cause another to harass, or commit inappropriate communications with a member; any attempt by you to harass, or cause another to harass, or commit inappropriate communications with one of employees, agents, or partners. b) Your contact information; your Petition will be reviewed at Architective Publications discretion and any determination as to your reinstatement will be based on Architective Publications sole judgment. Your submission of a Petition does not, in any manner, guarantee, that you will be reinstated and Architective Publications specifically disclaim any and all representations with respect to such guarantee. Architective Publications will contact you as to its decision to reinstate you. Architective Publications is not obligated to give you any reason or basis as to its decision. You understand that any decision as to reinstatement may be a simple, yes or no. All decisions are final. As a result of the performance of the Terms and Conditions and whether due to any intentional or negligent act or omission, Architective Publications may disclose to you or you may otherwise learn of or discover, Architective Publications documents, business practices, object code, source code, management styles, day-to-day business operations, capabilities, systems, current and future strategies, marketing information, financial information, software, technologies, processes, procedures, methods and applications, or other aspects of Architective Publications business (“Our Information”). You hereby agree and acknowledge that any and all Architective Publications information is confidential and shall be its sole and exclusive intellectual property and proprietary information. You agree to use Architective Publications Information only for the specific purposes as allowed by the performance of the Terms and Conditions. Any disclosure of Architective Publications Information to a third party specifically including a direct competitor is strictly prohibited and will be vigorously challenged in a court of law. All obligations contained herein shall survive the termination of the Terms and Conditions. Furthermore, you acknowledge that Architective Publications information is proprietary, confidential and extremely valuable to Architective Publications, and that Architective Publications would be materially damaged by your disclosure of Architective Publications Information. You acknowledge and agree that monetary damages provide an insufficient remedy for the breach of this confidentiality obligation, and that Architective Publications shall be entitled to injunctive relief. You agree not to circumvent the Terms and Conditions through the use of any subterfuge involving the use of third parties. Architective Publications reserve the right to keep all records of any and all transactions and communications between you and other members for administration purposes. During the term of the Terms and Conditions, you shall not solicit to hire nor hire Architective Publications employees of whom you become aware of through the performance of the Terms and Conditions. Furthermore, you shall not otherwise interfere with any of Architective Publications other business relationships including those with Architective Publications members. Architective Publications always want to receive messages and feedback from members and welcome any comments regarding the Architective Publications marketplace, products and/or services. However, Architective Publications policy does not allow it to accept or consider ideas, suggestions, or proposals other than those Architective Publications specifically request. The intent of this policy is to avoid the possibility of future misunderstandings when new functionality and features developed internally by Architective Publications might be similar or even identical to your idea. If you do send Architective Publications an unsolicited suggestion, idea, or proposal, or if you send, at the request of Architective Publications, a comment or suggestion to improve the Architective Publications Marketplace (for example, through Discussion Boards or via email) (collectively, the “Submission”), Architective Publications will consider the Submission to be non-confidential and non-proprietary. Architective Publications shall have no obligations concerning the Submission, contractual or otherwise (including but not limited to an obligation to keep the Submission confidential), and shall not be liable for any use or disclosure of any Submission. Architective Publications shall be entitled to unrestricted use of the Submissions for any purpose whatsoever, commercial or otherwise, without compensation to you. Architective Publications use techniques to help verify the identity of members when they register on Architective Publications Website through the architective.co.za domain, sub-domains or mobile application; however, Architective Publications cannot and will not confirm each member’s identity. Remedies for use of Architective Publications Website that violate the Terms and Conditions include, but are not limited to, the immediate removal of your Submissions, notifying Architective Publications members of your actions, issuing a warning, temporarily suspending your membership, terminating your membership, and refusing to provide or supply products or services to you. Your need to modify practices, content, or behavior or your loss of or inability to do business, as a result of changes to the Terms and Conditions or Architective Publications policies. You shall comply with all applicable domestic and international laws, statutes, ordinances and regulations regarding your use of Architective Publications Website, products, ordering, paying, shipping and interaction with other members. Any legal claim arising out of or relating to the Terms and Conditions or Architective Publications products and/or services, excluding legal action taken by Architective Publications to collect Architective Publications fees and/or recover damages for, or obtain an injunction relating to, the Architective Publications Website operations, intellectual property, and its products and/or services, shall be settled by binding arbitration. The parties will attempt to settle it by mediation in accordance with the Centre for Effective Dispute Resolution (“CEDR”) Model Mediation Procedure. Unless otherwise agreed between the parties, the mediator will be nominated by CEDR. Disputes between you and Architective Publications regarding Architective Publications products and/or services should be reported to Architective Publications. Architective Publications will attempt to resolve any disputes you have. Architective Publications are not responsible for resolving any disputes between you and other Website. If you report a dispute to Architective Publications, Architective Publications will make every effort to help both parties communicate; however, all disputes must be resolved directly between you and the other members. Therefore, if Architective Publications are contacted by a member who claims to have a dispute with you and they request your contact information (including but not limited to any of your provided phone numbers and/or addresses) to settle the dispute, you expressly authorize Architective Publications to release your provided contact information to the member and you agree to release Architective Publications from any and all liability associated therewith. Architective Publications encourage you to report all member-to-member disputes to law enforcement officials or a certified mediation or arbitration entity. Architective Publications do not specifically endorse any such third party mediation or arbitration entity. When appropriate, Architective Publications also encourage you to report disputes involving fraud, theft, or other criminal activity to the appropriate law enforcement agencies. The Architective Publications Website contains copyrighted material, inventions, know how, potential patentable business method material, design logos, phrases, names, logos or HTML Code (“Intellectual Property Content”) all of which, unless otherwise indicated and/or provided pursuant to a third party license, are Architective Publications sole property and Architective Publications retain all appurtenant rights, interests and title thereto. Architective Publications also claim ownership rights under the copyright and trademark laws with regard to the “look”, “feel”, “appearance” and “graphic function” of the Website including but not limited to its colour combinations, sounds, layouts and designs. You agree and acknowledge that your use of this Website does not confer upon you any license or permission to use Architective Publications (or any third party’s) Intellectual Property Content. You shall not reproduce, modify, display, sell, or distribute the Intellectual Property Content, or use it in any other way for public or commercial purpose. Their rightful owners hold all other trademarks, service marks and copyrights. The Architective Publications Website contains trademarks, trade names, trade dress, service marks, domain names or other indicia of ownership (collectively the “Marks”) owned or licensed for use by us. Unless otherwise agreed to in an Addendum to the Terms and Conditions, you agree that no right, property, license, permission or interest of any kind in or to the Marks is or is intended to be given or transferred to or acquired by you pursuant to the execution, performance or non-performance of the Terms and Conditions or any part thereof. You shall in no way contest or deny the validity of, Architective Publications right of title to or license of use for, the Marks, and you shall not encourage or assist others directly or indirectly to do so, during the lifetime of the Terms and Conditions and thereafter. You shall not utilize the Marks in any manner that would diminish their value or harm their reputation. You shall not use or register any domain name that is identical to or similar to any of the Marks. Architective Publications uses industry standard practices to safeguard your personal information, including firewalls and Secure Socket Layers. Architective Publications utilise several different security techniques to protect data from unauthorised access, but Architective Publications cannot guarantee the security of Architective Publications system. Architective Publications also do not guarantee uninterrupted or secure access to Architective Publications system, as the operation of Architective Publications Website can be interrupted by numerous factors outside of Architective Publications control. A person who is not a party to the Terms and Conditions has no right under the Contracts (Rights of Third Parties) Act 1999 to enforce any term of the Terms and Conditions but this does not affect any right or remedy of a third party specified in the Terms and Conditions or which exists or is available apart from that Act. The Terms and Conditions may not be modified, supplemented, qualified, or interpreted by any trade usage or prior course of dealing not made a part of the Terms and Conditions by its express terms. The invalidity or unenforceability of any provision of the Terms and Conditions shall not affect the validity of the Terms and Conditions as a whole and any such provision should be enforced by authorities, and reconstructed if need be, to apply to the maximum extent allowable under applicable law. The failure by either party to enforce at any time any of the provisions of the Terms and Conditions, to exercise any election or option provided herein, or to require at any time the performance of the other of any of the provisions herein will not in any way be construed as a waiver of such provisions. Reasonable attorneys’ fees and costs will be awarded to the prevailing party in the event of litigation involving the enforcement or interpretation of the Terms and Conditions. The section headings used herein are for convenience only and shall not be given any legal import.